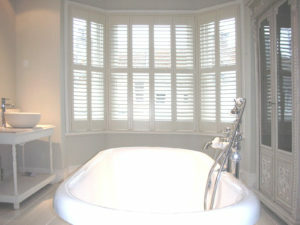 Just Shutters provide the finest range and choice of Plantation Shutters in Ashbourne and the surrounding areas. What’s more, all our shutters come with a lifetime guarantee, designed by experts come fully installed. Our shutters really do make the very most of your windows and doors. Call our shutter specialists on 0115 838 2558 for the very best Plantation Shutters in Ashbourne. – Added privacy without blocking light – and WITHOUT the need for net curtains! Our extensive range of materials and finishes mean we will create your perfect shutters to suit any room no matter your taste and style – from bright and bold, to stunning white or even a warm cosy real wood – the choices are endless! Why choose Just Shutters Ashbourne? We are a local family company, we care about our customers, about our local reputation and our quality of service. Our shutters are second to none, our service is unsurpassed and prices are great. We would like to show you just what we can do for you and your home, please call us for a free inspirational brochure or to arrange a home design visit with our expert Joe Musgrove – 0115 838 2558 or follow the links below.